Imagine empty trails on Yosemite’s most popular waterfall hikes. Zion’s Narrows encrusted in ice. Yellowstone’s geyser viewing all to yourself. In winter, these experiences are possible in the busiest American national parks. Well worth visiting at any time of year, the most popular parks can become frustratingly crowded in peak season. Reservations for lodging and campsites can be difficult to obtain, and traffic can become ensnarled. Exploring these places in winter instead provides an entirely different, and quite peaceful, experience. Visiting national parks in winter takes more planning than in summer, as parks reduce their staffing, often close roads due to weather conditions, and shorten their hours at some museums, attractions and restaurants. To avoid snags, start your planning at each park’s official website, which will list any winter conditions and closures. Don’t be shy about calling their local offices, staffed by full-time park employees who are happy to answer your questions about current conditions — they want you to arrive prepared. Consider booking a stay at a historic park lodge during winter, when rates are lower and it’s easier to get reservations. You probably don’t want to camp outdoors in the cold at most of America’s parks anyway! Check for activities offered only in the off-season, such as bird migrations, ice or glacier walks, and moonlit snowshoe hikes. To visit a national park in winter is to see nature in a different light. Southern Utah’s top destination offers a new side in winter, with snow on the ground, ice clinging to its canyon walls and warmer temperatures in nearby Springdale and St. George than most visitors expect. Zion’s roads, open only to shuttles in summer, are open to cars in winter, allowing greater freedom for your exploration. Start by hiking the Narrows, which requires suiting up in wetsuit-type hiking gear from Zion Outfitter (located at the park entrance), then be sure to check out Grotto Trail and Weeping Rock trail afterward. Where to stay: Inside the park, stay at the iconic Zion Lodge. An equally desirable alternative is Cliffrose Lodge, located in Springdale within walking distance of excellent dining options. Want help planning a U.S. National Parks vacation? Notorious for summer crowds, Yosemite is an entirely different place in winter. It’s still popular, so many services remain open year-round, and visitors can expect to hike via snowshoe or cross-country ski from December through March. Since you won’t be sitting in traffic, consider adding adjacent Sequoia National Park and Bryce Canyon National Park to your winter visit; called Majestic Loop, this trio combines the grandeur of Yosemite, the giant trees of Sequoia, and the red rocks and cliffs of Bryce. Where to stay: With kids, Yosemite Valley Lodge (also known as Yosemite Lodge at the Falls) sits at the heart of it all and offers snowshoe walks from the front door. Evergreen Lodge makes an appealing home base about 7 miles from the park. For a cozier, more romantic stay, the Majestic Yosemite Hotel (formerly the Ahwahnee) can’t be beat. This sprawling national park can have bumper-to-bumper traffic in summer, but winter offers empty roads and a snowy landscape alive with wildlife. Consider taking a snowmobile tour through the park, experiencing a wolf-viewing tour in the Lamar Valley, and skiing in Jackson Hole, Wyoming (outside Grand Teton National Park) and Big Sky (nearby in Montana). Elk herds are prominent in both parks, and yes, the famous geyser will still be active — people ask! Where to stay: Base at the Old Faithful Snow Lodge & Cabins, or think outside the box and stay at nearby Big Sky Resort in Montana. The kids will have plenty to do right in Big Sky, and Yellowstone is a short drive away. Of course, warm-weather national parks, such as Everglades National Park, Big Bend and Death Valley can be excellent winter destinations as well. But that time of year, you’ll be fighting the crowds, not beating them. Have more questions about which park is best for your travel dates? 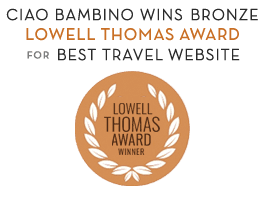 Ask the Ciao Bambino Family Vacation Advisor Team to help you plan.